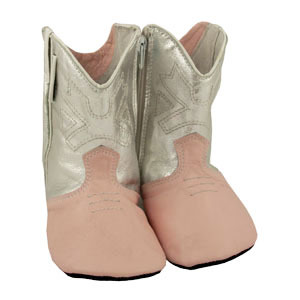 Little ones can now giddy up in these very popular soft soled leather Toddler Cowgirl Boots, suitable for 0-2 years. 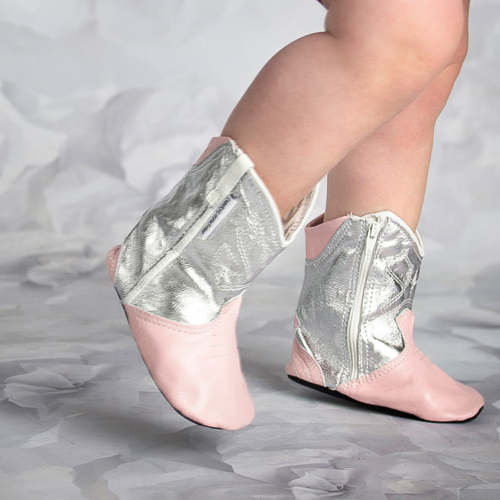 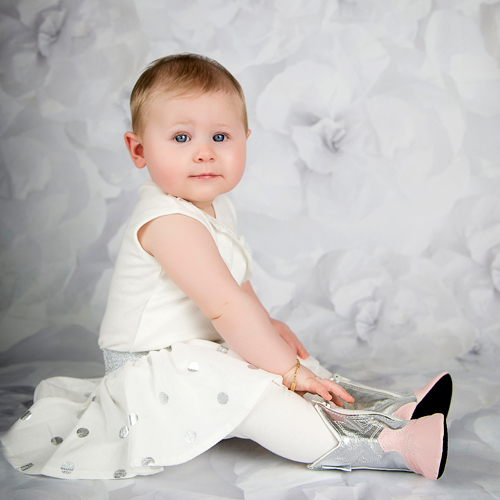 This silver/pink two tone design has been very popular colour in our baby boot range! 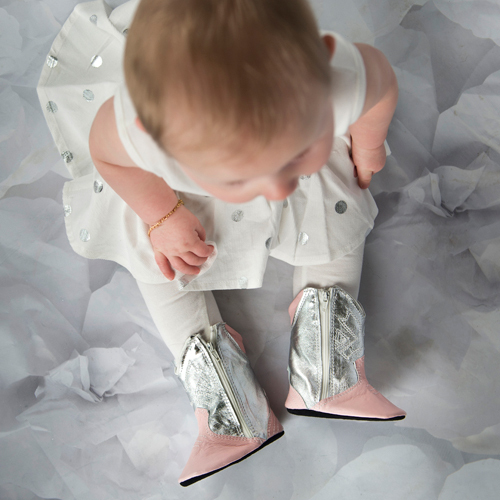 It's time to begin so count it in 5-6-7-8.